George Band (centre) with inaugural award recipients Neville McMillan and George Steele, at the 2011 BMC Annual Dinner. The award was established in 2010. Past recipients have included volunteers who have devoted their time and expertise to the work of the BMC on access and conservation, competition climbing, equipment, finance, and mountain heritage. Dave Musgrove (right) receives his award from acting president Nick Kurth. BMC members can nominate a volunteer for the award. A nomination form is available to download from the BMC website towards the end of each year. The BMC Board of Directors is the awarding body, and the award is presented on the occasion of the BMC Annual General Meeting. George Band OBE (1929 - 2011) was the youngest member of the 1953 Everest expedition which saw Hillary and Tenzing make the historic first ascent. In 1955 with Joe Brown he made the first ascent of Kangchenjunga, the world’s third highest mountain. 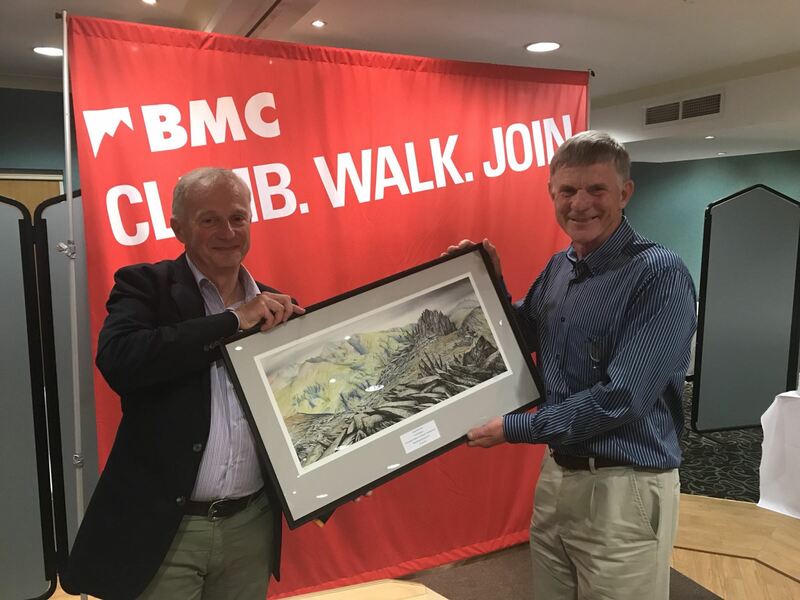 A longtime supporter of the BMC, George was BMC President from 1996-1999, and was also President of the Alpine Club and chairman of the Himalayan Trust (UK). In 2008 he was awarded the OBE for services to mountaineering and charity.